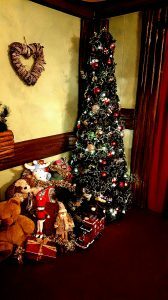 Everybody says that when there is a child around you at Christmas, it is a totally different experience. We were invited to a Christmas Event at the beginning of November I honestly could not be more excited! It is Lola’s first Christmas after all! Usually I would be one of the people complaining that Christmas does not start until December! Intu Lakeside invited all their VIB’s (Very Important Bloggers!) 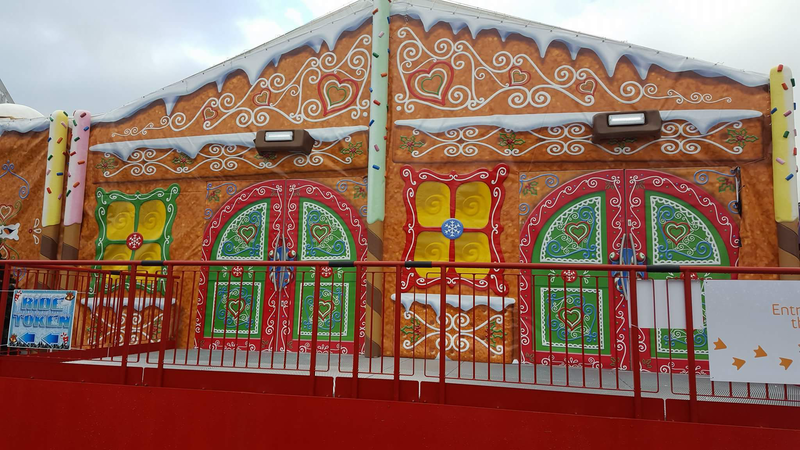 along to experience their new Christmas Village. 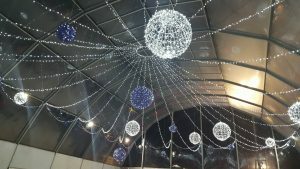 This year there is an Ice Rink, Ice Bar, Christmas Village Market and most importantly Father Christmas in his Grotto! 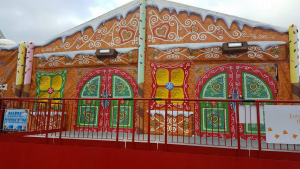 We visited when it was just the Ice Rink and the Ice Bar and then we were invited back to experience Father Christmas in his Grotto! Anybody that knows us will know just how late we always run! 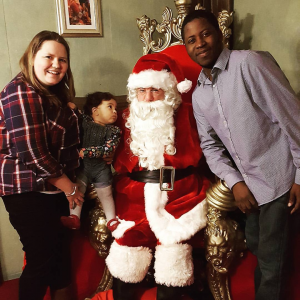 The day we visited Father Christmas was no different! I had been extremely ill the previous day so it was a bit hit or miss whether we would even be able to go. We didn’t arrive to Intu Lakeside until 11.30 which is what time we were booked in. By the time we actually arrived at the Grotto it was 11.45. I fully expected to be turned away but thankfully it was still a weekend in November so they weren’t quite fully booked! On arrival we were met by one of hardworking elves. We were given a token and told that we could explore the grotto before meeting Father Christmas himself. There were lots of buttons for the children to press. Poor Lola had only just woken up so didn’t really know what to make of it all but soon started to warm up and enjoy wandering around. 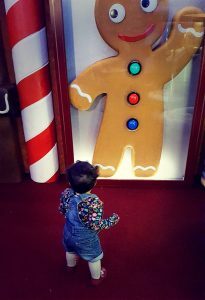 Lola’s favourite was certainly the Gingerbread man that pulled funny faces once his buttons were pressed! The token was used in a slot picture and you had to try and get the token into the chimney top! We were then met by another one of the elves where it needed to be decided whether Lola had been naughty or nice. 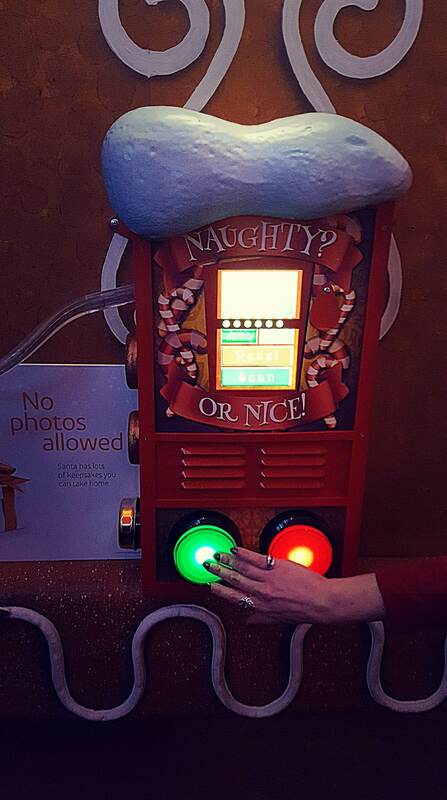 Children are encouraged to press the button where it is decided. Lola obviously had been nice this year! Once it has been decided you have to listen for the sleigh bells to tell you Father Christmas is ready to see you! We walked into Father Christmas and Lola was just starring at him! She was probably thinking who is this funny looking man! The grotto is sponsored by PlayMobil so all the gifts were PlayMobil except for the youngest children/babies. 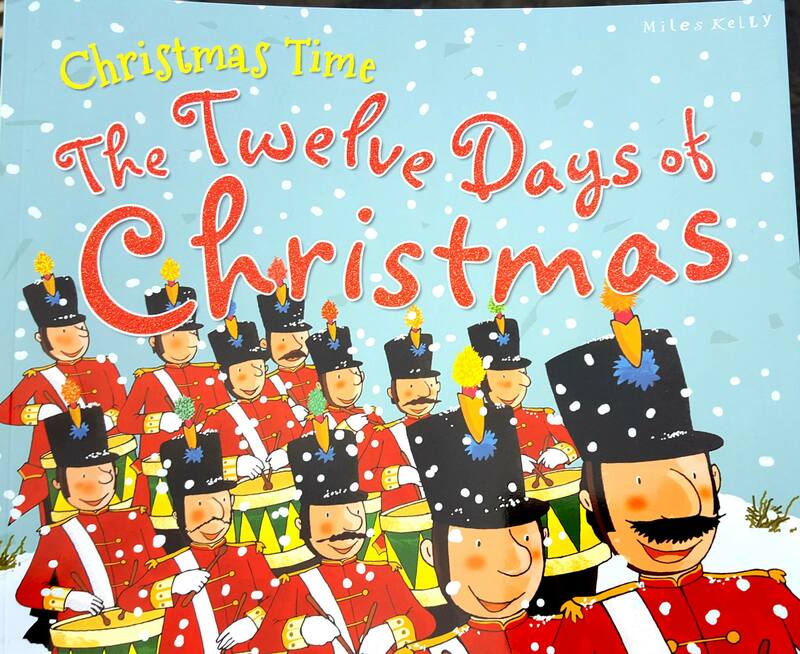 Lola was given a 12 Days of Christmas book. Father Christmas asked us to write the date in it and then put it in a ziplock bag and give it back to Lola when she was 16 to remind her of the first time she met Father Christmas. We would loose it in that time! It’s certainly going to be a book that we get out every year at Christmas. Whilst in with Father Christmas no photos are allowed to be taken. There is a professional photo which is taken. There are a variety of different bits you can buy with the photo on. We bought our photo on a fridge magnet as we have suddenly started acquiring a lot of magnets! Also we love that as it is small it is something that in the future will be able to be kept in a safe place. The magnet cost £6 but there are lots of different options including just getting the photo for £7. In my honest opinion it was fun and certainly a great experience for Lola as it wasn’t too overwhelming. However I think for older children you would expect a lot more. It does cost only £6 per child and adults go in for free so compared to most other grottos it is certainly a lot cheaper. 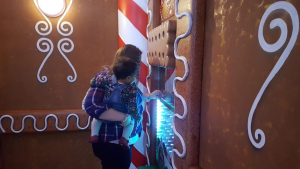 Disclosure – We were invited along to Intu Lakeside’s Father Christmas Grotto in exchange for an honest review. All opinions are my own and have not been influenced in any way.